Cost Reduction is a must for higher profits. There are Fixed and Variable Costs. 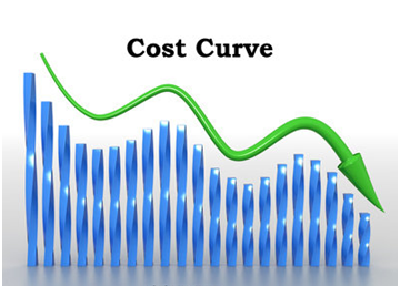 Both types of costs must be managed below industry average cost. Small Business and Startup always don’t know when they may need Cost Reduction and/or when a high Cost problem may “pop up”. But when need arises, it is better for Small Business and Startup to go to the known and qualified lower costs solutions providers. Outsourcing to lower cost countries like India, China. Implement new technologies like robotics, IT, Communications, etc. Higher efficiencies – Manufacturing, Services, etc. Lower capital cost – Refinance, Stop borrowing, lower Credit Card debt, etc. Creating sustainable low cost advantage increases competitiveness! Another challenge is balancing between reducing cost and increasing revenue. Increasing Revenue, Profit and Market share require major investment in many areas such as marketing, new products development, human resources, market expansion, etc. Investment affects current year profits but increase odds of higher profits in the future. There is a much higher priority issue i.e. Creating ongoing Cost Advantage which is a strategic advantage. Reducing cost is a tactical issue. We will connect you to the Cost Reduction Solutions Providers in our Solutions Shopping Mall who will help you reduce cost. What Small Business Problems cause “Going Out of Business”?